First came Spotibot: a Spotify music recommendation service on Twitter (reviewed here). This included a Better Links service to spruce up the drab Spotify link pages with album art and track listings. Then came the excellent Spotibot Playlist Generator: a mashup that creates custom playlists for you based on similar artists. Now Spotibot is ready for walkies: introducing Spotibot Mobile, a webapp for Spotify Mobile that helps you to find new music on the move. Read on for the review and for an exclusive interview with Andy Smith, Spotibot’s creator. 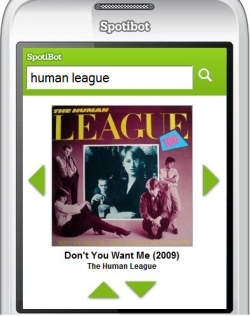 Spotibot Mobile (m.spotibot.com) is an album finder service especially designed for mobile devices running Spotify. Go to the site from your mobile’s browser then enter a band or artist name into the search area. Spotibot replies with a suggested album with artwork you can click on to open the album directly in Spotify. Click the Up or Down arrows to flip though other albums from the artist displayed, or click the Right and Left arrows to jump to a related artist. 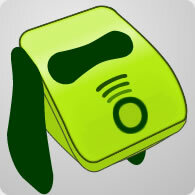 It’s incredibly simple to use and is another brilliant addition to the expanding Spotibot family. Note that Spotibot Mobile requires support for Spotify URIs so works on phones that run Android (Magic, Hero, Droid/Milestone etc.) but not in iPhones. 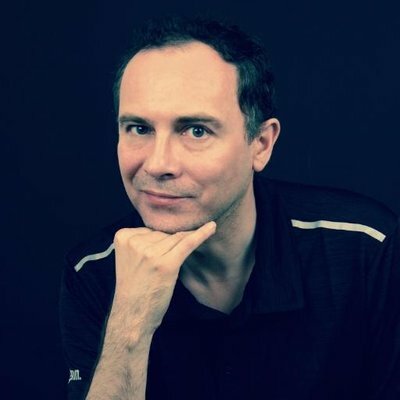 Spotibot is the brainchild of web developer Andy Smith. I asked him about Spotibot, his motivations, and his thoughts on the Spotify Metadata API now being used to realize web-based Spotify services. What mobile phone do you have and what do you like about it? I have the HTC Magic smartphone running Android. I bought it because of the open approach to development, and of course having Spotify on it is great too! I have a cable that’ll connect it to most sound systems, so it’s like having a complete CD collection with me all the time. What motivates you to develop such great Spotify-related services? The stuff that’s missing from Spotify itself! I’m a big music fan: I used to produce and present a radio show and I love discovering new stuff. I generally just think “hey, wouldn’t it be useful if…?” then go ahead and write a tool to do it. I know I run the risk of producing stuff that Spotify themselves may later introduce, but until they do I can have fun making them myself. Your advert in Spotify seems to be a bit of a cult hit (listen here)! Did it bring in many new Spotibot users? Thanks! It has brought in a lot of users, and I thought it might be a nice change from the usual kind of adverts people hear. My favourite response so far was from @SamHillDesign who said he heard it and suffered “wisher’s remorse.” I went premium ages ago, but I hear tales from friends about how annoying the ads are. I wanted to make people chuckle. What are your favourite other Spotify-related websites or services? Sharemyplaylists has obviously come out on top of the many services trying to fill in for the lack of any general meeting ground for Spotify users. However, I find hacked together projects like the CD Rack very interesting (Afront: thanks Andy! ), and I like Spotify Collection a lot. Spotichart has also done a fantastic job of collating tweeted links into meaningful data. Has the Spotify metadata API been well-received in the development community? The Spotify metadata API has been great for Spotify web app developers. 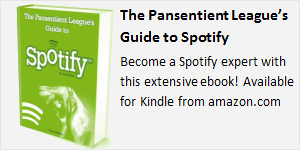 By making it easy to access the meaningful data in Spotify’s catalogue very quickly and without serious restriction it moves the development limitations to the developer’s imagination, not the technology itself. In other words, it is everything that libspotify failed to be. When they announced it, my mind practically exploded with ideas. Many of these are still quietly developing in the background. What do you think is missing from the metadata API, or what would you like to see improved? The obvious thing missing is playlists. I know they’re planning this and it’s only a technical problem holding them back: how to make it fast and reliable enough. I think a lot of developers would benefit from an ‘added since’ query limiter for each of the methods, which would mean they didn’t need to release the Google docs any more. An extra API call that simply returned the date/time of the last update would also help people cache responsibly. Also unlikely – but very nice – would be some kind of oAuth so people could log in to third-party sites with their Spotify ID instead of having different logins for each. What new features would you like to see in Spotify itself? A lot of the missing features would be things that other people are trying to do (like I am!) I think they need to crack the ‘social’ aspect, but that’s a tricky one. I would love a way to save or bookmark albums into a library of sort. Using the Playlists system for this becomes unmanageable very quickly. Something like Windows Media Player or iTunes library with the ability to search either your own library or the whole Spotify catalogue. Plugging gaps in the Spotify catalogue by being able to upload my own albums into “the cloud” would be a logical (and ideal) next big step for the service. What are your Spotibot plans for the future? I see Spotibot as a collection of proof-of-concept ideas that I’ve managed to make resilient enough for other people to use. I’m definitely going to be doing a redesign to the site in the new year, but in terms of new functionality the new Spotibot Mobile is a first step, but I want to get as many music finding features as mobile as possible. I’m frequently on long bus/train journeys and wanting music but lacking inspiration. Conversely, when I’m at my desk I can easily find new music but will usually be too busy to properly listen to it. I also have an idea involving playlists which – if I can pull it off – is going to be pretty swish. It requires a lot more intensive tech than all the other Spotibot services, so that’s gradually forming in the background in between the other ideas. Other than that expect the usual little tweaks and enhancements. I’ll announce them via twitter as they go live! Finally, what were your favourite albums or songs of 2009? I enjoyed the new Flaming Lips album Embryonic because it’ll take a lot of the more-recent Flaming Lips fans by surprise; they’ve gone back to their older, less coherent style of material. Wayne Coyne is also one of the coolest people in the industry right now. Similarly, The Super Furry Animals’ Dark Days/Light Years is – after a couple of listens – them getting back to what they know: great, simple hooks played by crunchy, sometimes nostalgic synth noises with fun-but-often-unsettling off-the-wall lyrics and themes. 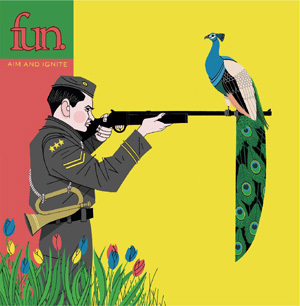 My album of the year, however, is Aim & Ignite by Fun. (discovered through Spotibot!) It’s surprisingly “poppy” for me, but it manages to be interesting and just about indie enough so I don’t totally lose face. I hope!